light movement: Light Movement 6. 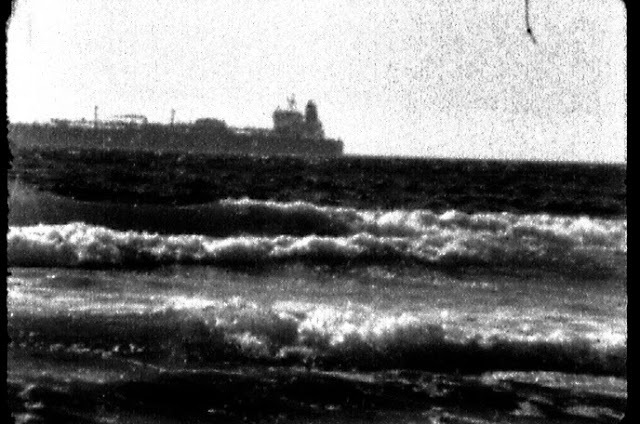 Filmmaker Jeannette Muñoz presents some 16mm selections from two ongoing projects. In ENVÍOS (2005-) we see sequences, incidents, occurrences, fragments, moments, glimpses, each section realised with and/or for a particular person, like a gift or dedication. PUNCHUNCAVI (2015) takes us to a former native American site in Valparaíso, Chile, now host to copper refineries, steam power plants and a lading port. 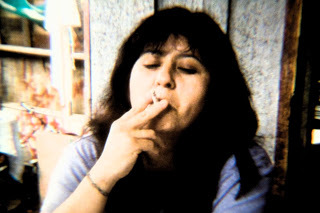 Muñoz's films exist, in a sense, as building blocks for each screening, where individual camera reels make up a sequence, each time slightly different from the last. She is then free to pick and choose from these fragments to tailor-make each showing of the work. For the ENVÍOS project, which she has been continually developing since 2005, each exposed role of film is subsequently packaged in a cardboard box with a text expanding and underpinning the films creative impetus. Underlying this practice is a strict sense of conceptual purpose, although the image sequences themselves often depict simple, human spaces, landscapes and journeys, the thinking process behind both projects is rooted in a philosophical understanding of a multitude of hypothetical spaces and times, real, imagined, and alive with filmic presence. "ENVÍOS don't have objects nor subjects, and are of heterogeneous provenance and motivations. They are capable of meeting and coexisting only within the small and singular. ENVÍOS inhabit the intimate and public at once."